Glo Network just repackaged the service of International Direct Dial (IDD) with other two tariff plans. 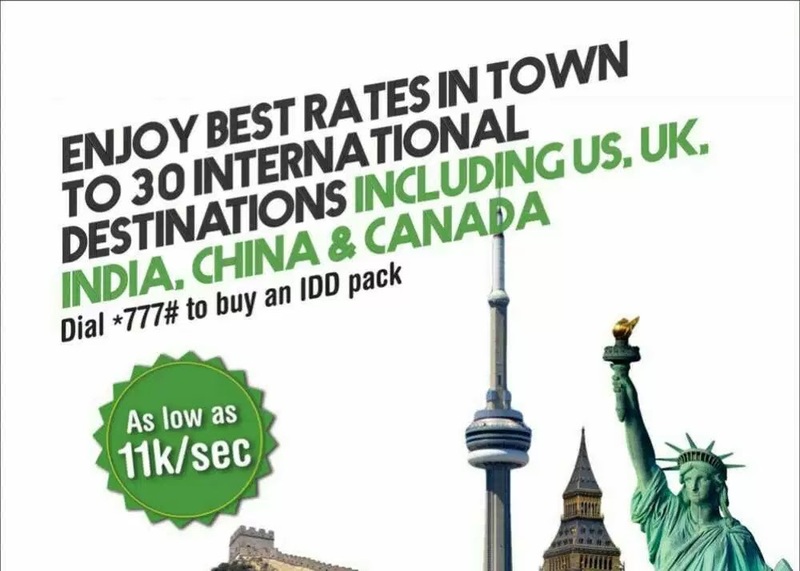 Introducing this Glo IDD pack, customers who have already migrated to this package can make calls to some international destinations which includes USA, China, UK, India Among others at the rate of 11 kobo per second. "The new IDD Packs, regarded because the nice deal in the country, enable Globacom subscribers to make calls from Nigeria to 30 primary international destinations for as low as N6.60 per minute. 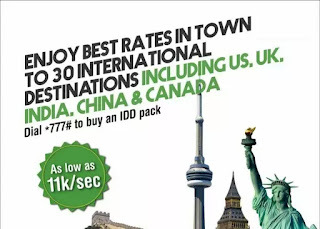 With the new tariff structure, we've got empowered our subscribers to call their neighbors, family members and trade pals in 30 nations at extra easy and low-cost charges,"
The newly repackaged Glo IDD pack can be used to call 30 international destinations for now and they include UK, united states, Canada, South Africa, India, South Korea, Spain, Sweden, China, Hong Kong, Japan, Israel and Australia, Bangladesh, Brunei, Cyprus, Denmark, Finland, French Guiana, Guam, Luxembourg, Malta, Mongolia, Mexico, Netherlands, Norway, Puerto Rico, Reunion Island, Romania and Singapore. The bundles are designed to match the recharge denominations and include IDD 100, IDD 200, IDD 500 and IDD 1,000. => IDD 100: With the IDD 100, you get 12 minutes of calls which is valid for three days. => IDD 200: With the IDD 200, you get 24 minutes of calls which is valid for 7 days. => IDD 500: With the IDD 500, you get 60 minutes of calls which is valid for 14 days. => IDD 1000: With the IDD 1000, you get 100 minutes of calls which is valid for 30 days. Just pick of your phone and Dial on your Glo sim this code *211# in order to activate the Glo IDD tariff plan. that's all, very easy use.